*£1.99 via an in-app purchase. Initial download is free. *£1.99 via an in-app purchase. 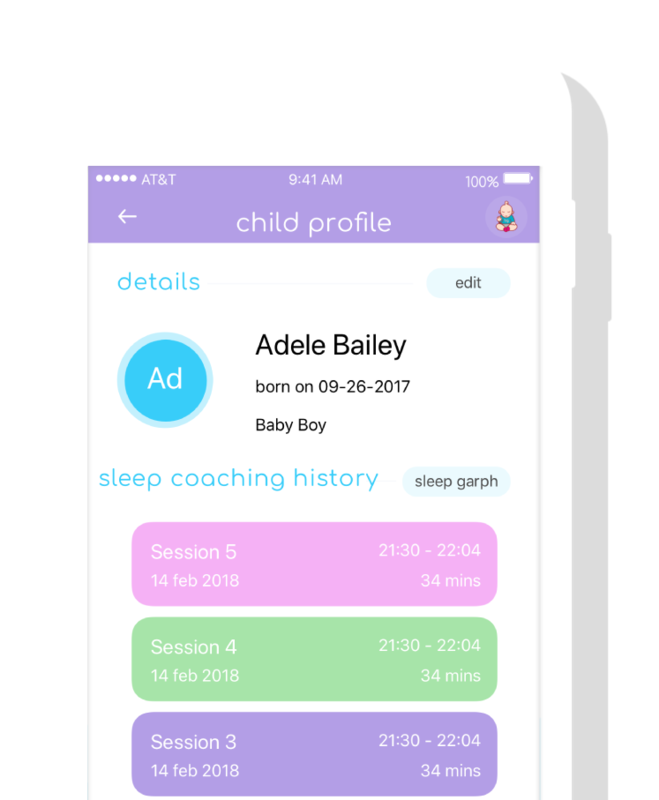 The Baby Guru app uses a Responsive Sleep Method, providing interactive, real time help, responsive to your babies’ reaction to sleep coaching. Helping little ones learn how to settle themselves independently to sleep, without the need to feed be rocked or a dummy replaced every time it falls out. So that when they wake in the night or early from a nap they are able to go back to sleep themselves. 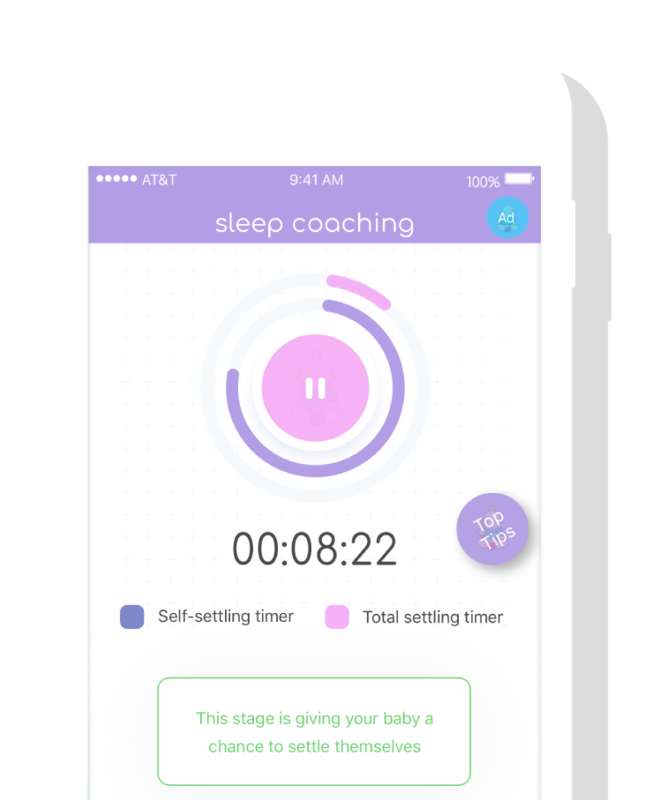 The pathway to responsive sleep guides you step by step through sleep coaching to attain a peaceful nights sleep for you and your little one. 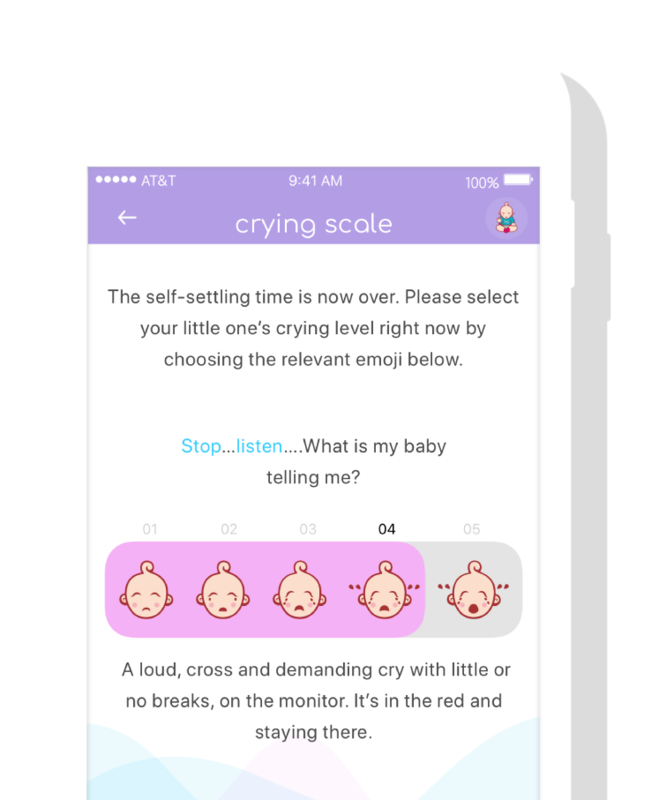 A crying scale will help you to learn how to interpret your baby’s cry and also to feel confident that you are able to react at the right time. 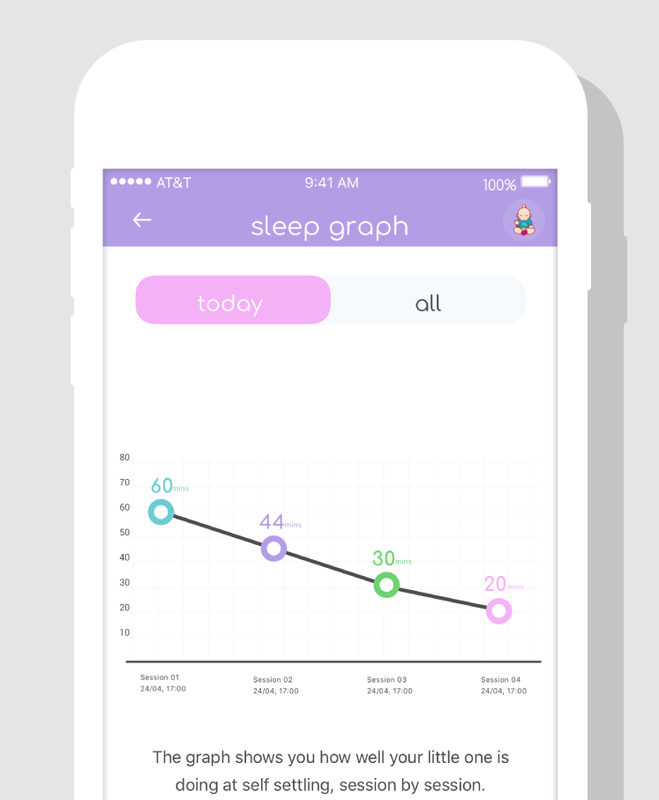 See a record of your little ones progress with sleep which can be viewed on the graph, showing their total time to settle each session. The app comes with two responsive methods designed for different ages. Both methods give lots of reassurance to your little one and guide you to interpret what your baby needs and when. It is not a ‘leave to cry it out’ method. Far from that it’s about listening and responding as soon as your baby needs you. Cuddle, Calm, Continue is for 4-6 months when little ones need more support from cuddles, this method can also be used for older babies. Respond, reassure, repeat is for babies and children 6 months and over. This method is not recommended for babies under 6 months old.